Ann Smith-Tate, president and chief executive officer of the Shawnee Chamber of Commerce. Shawnee is considering a series of changes to the unique Shawnee Entrepreneurial and Economic Development program that allows it to provide business loans to promote employment in the city. The discretionary fund, which has been in place since 2012, is a city-led effort with the Shawnee Chamber of Commerce that focuses on job creation and retention in the city. “It has also been useful in attracting new employers that have led to millions of dollars of investment and the creation of hundreds of jobs in the community,” city manager Nolan Sunderman wrote in a memo to the council. The policy changes would include a renewed focus on supporting the revitalization of downtown Shawnee. Shawnee Chamber of Commerce executive director Ann Smith-Tate reviewed a list of proposed revisions to the program at the council’s committee meeting Feb. 5. The recommended changes include supporting reinvestment in downtown Shawnee and the Nieman Road corridor, especially for restaurants and retail. Another change would require the city council to approve more than $50,000 in assistance given to any participating business. SEED loans must also be capped at $250,000 based on the number of jobs and average annual salary up to a three-year period. The Shawnee council on Feb. 5 voted 7-0 to recommend adopting the changes during the next council meeting. Councilmember Matt Zimmerman was absent on Monday. 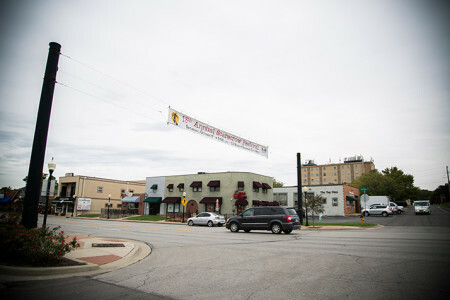 The economic development fund has been in effect since 2012 as a way to provide resources which the city uses “to support strategic programs which will encourage the retention and expansion of existing businesses, the attraction of new businesses and the growth of new businesses in the community,” according to city documents. Primary funding for the economic development fund is generated from the Impact Fee on the operation and maintenance of the sanitary landfill in Shawnee, according to the policy statement.